It never fails that when I am half way through doing something a light bulb goes off in my head and screams "where is your camera, this is a blog post!" So, I grabbed my camera and took the photos that I could, with what I had left of this project. 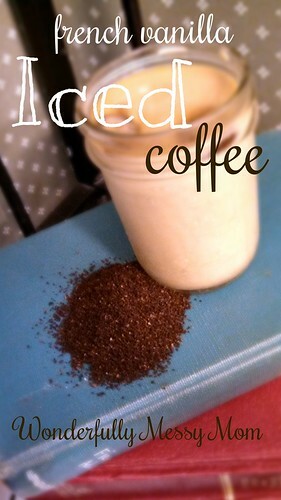 To let you know, I am an iced coffee fiend!! I have tried many homemade recipes just to pour them down the drain and commit to just biting the bullet and buying them from a real barista. UNTIL.....dum, dum, dum....I found this amazing recipe adapted from 'The Pioneer Woman'. Let me just warn you, this is a very time consuming recipe, but oh so worth it!! 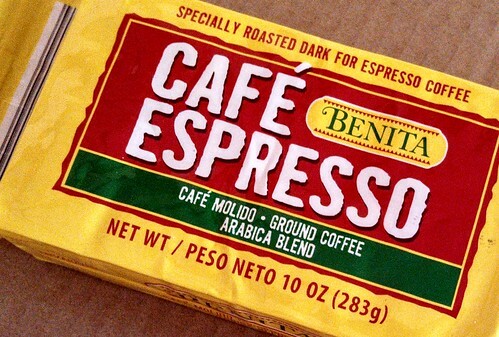 Get you a dark roast or espresso blend. The darker the better!! Dump the whole package into a gallon tea container, then fill with water covering all the grounds. This is what is called a cold brew method. Let this sit in the fridge for 12-24 hours. 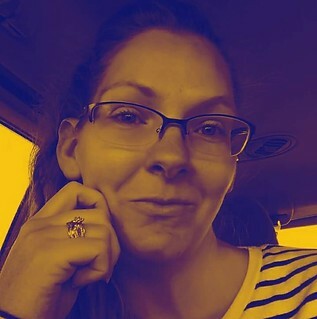 I let mine sit for 24. The next step is the time consuming part! You need to strain the grounds out! Yeah, like I said I was about done when I thought...blog post!! 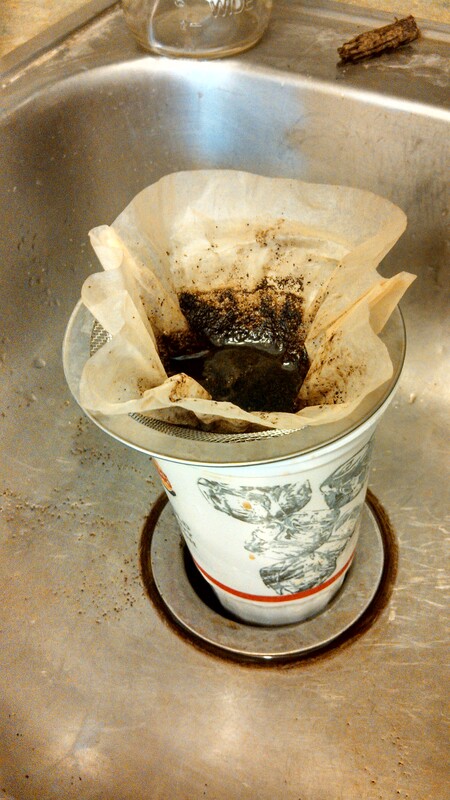 Take you a cup, strainer and some coffee filters and pour a little at a time to strain. When you cup gets full, put into a clean container. That will be your liquid coffee gold!! Once you get your base, you can do what you want with it. Here is what I did, and it was AMAZING!! 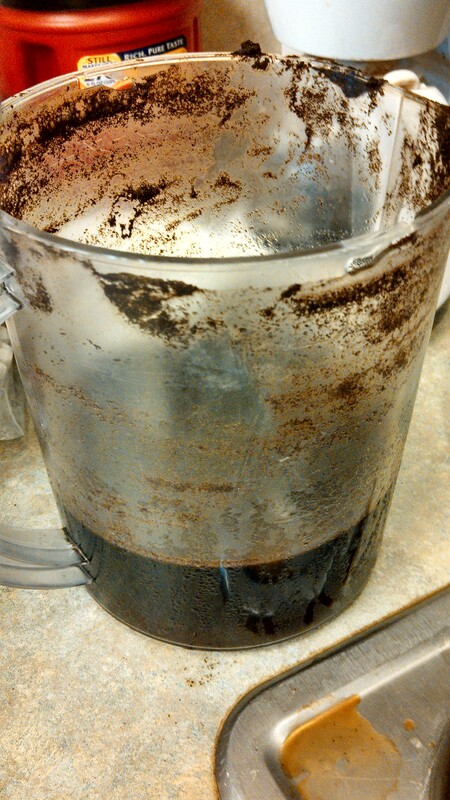 First, when you brew a pot of coffee and IF you have leftover coffee, do not pour it out!! Fill up ice cube trays and freeze it! This will be the ice you use for this scrumptious buzz-a-licious drink! Get a big glass, not a coffee cup...hehehe, I like LOTS of iced coffee!! 1-Fill glass with your coffee ice. 2- Pour in your liquid coffee gold half way. 3- Then splash in some milk until 2/3 full. 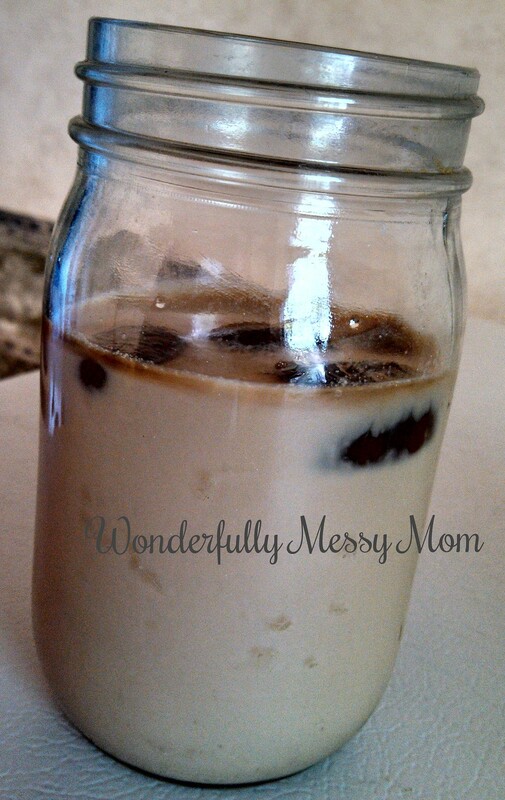 4- Top off with French Vanilla coffee creamer. This is the good part!! 5- Place 2-3 Tablespoons of sweet condensed milk into your cup! This DOES look amazing. Time-consuming, so I might hold off - but soon - I'll find the motivation and try. ;) Because YUM! It can be time consuming, but once you make it and try it, it was worth the wait! !